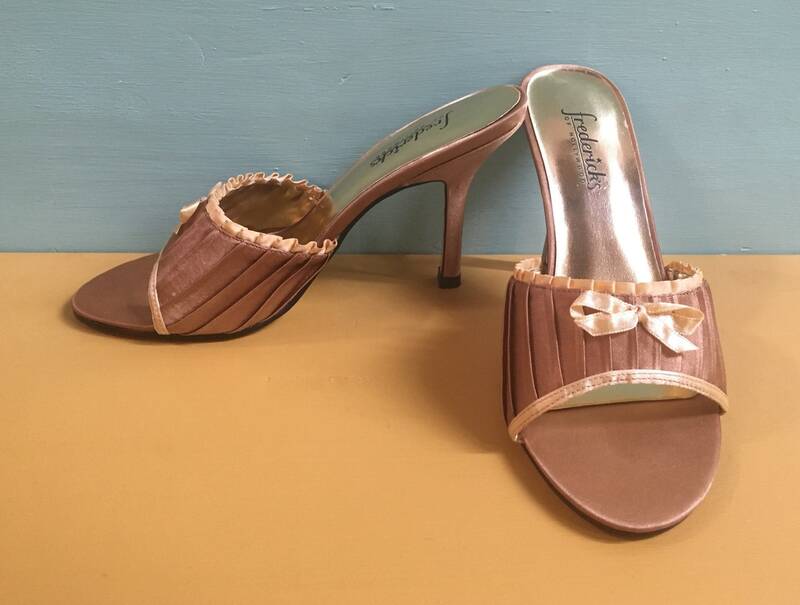 Vintage 1990s does 1950s gold satin Frederick's of Hollywood peep-toe, slip-on heels with pleating and small bow detail. Near perfect vintage condition; little to no wear from age and use. Appear to have only been worn a couple times, if ever. 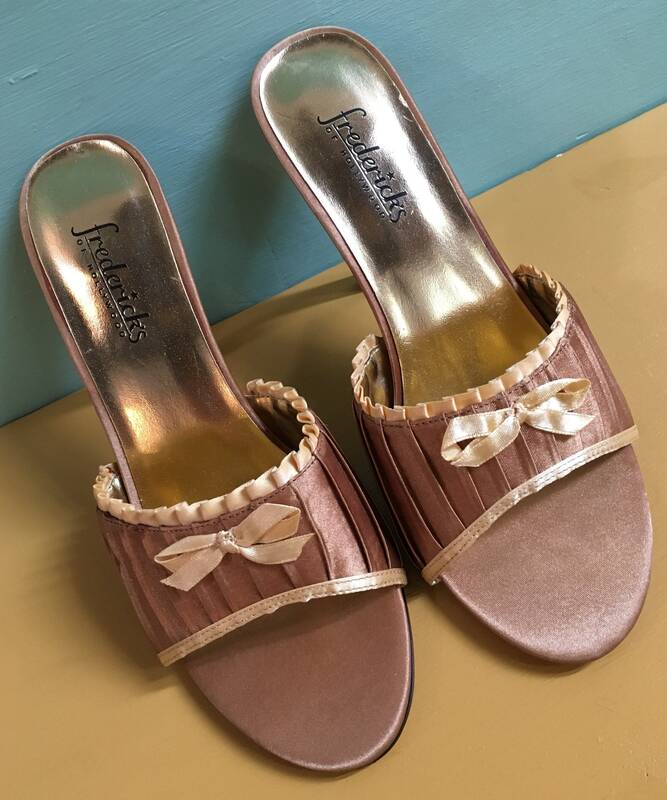 Yellow gold pleated satin trim on top and bottom of front of shoes; front of shoes covered in darker gold pleated satin. 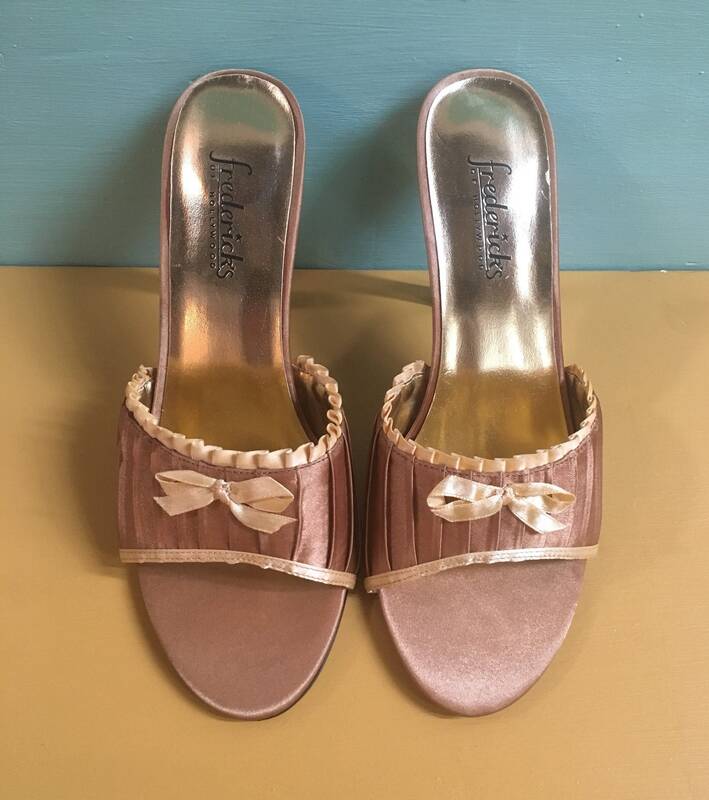 Small ribbon bow detail on center of front of each shoe. 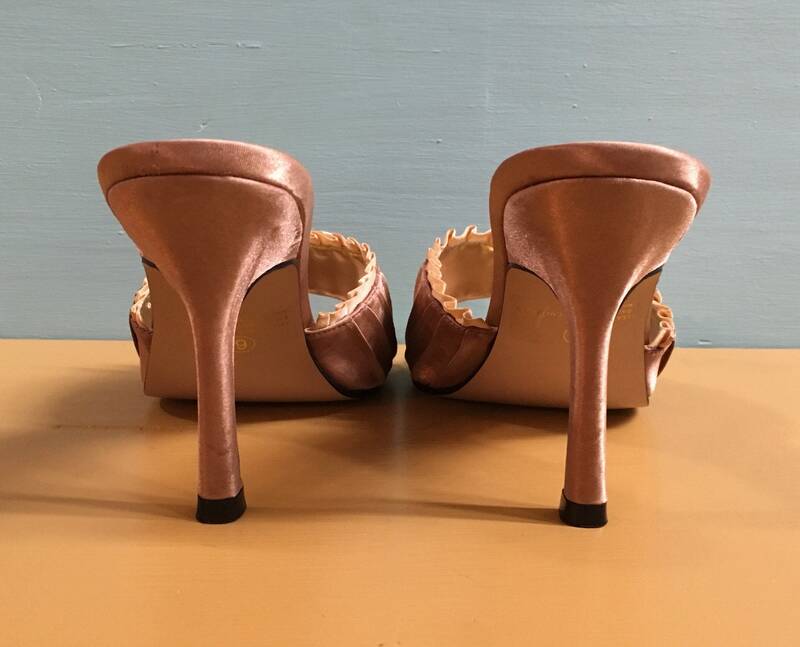 Dark gold satin also on bottom of toe box at peep-toe opening. No damage or issues in this area. 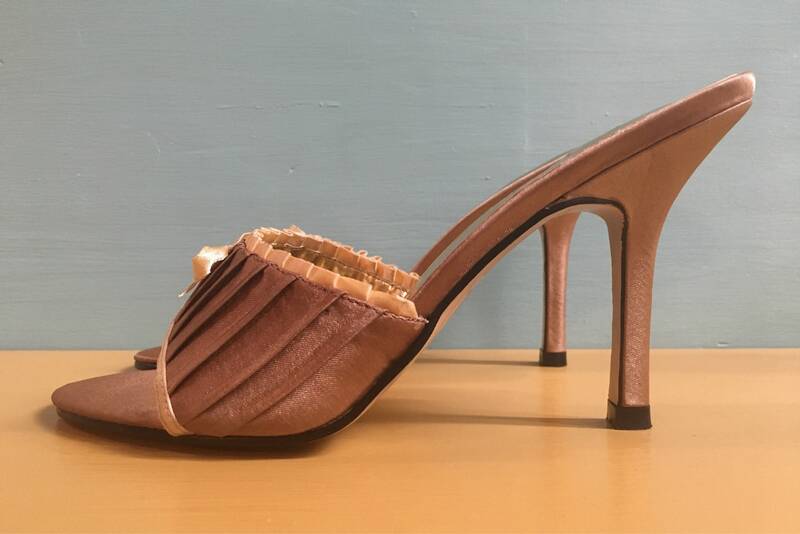 Heels and heel tips in excellent condition with no issues or visible damage. 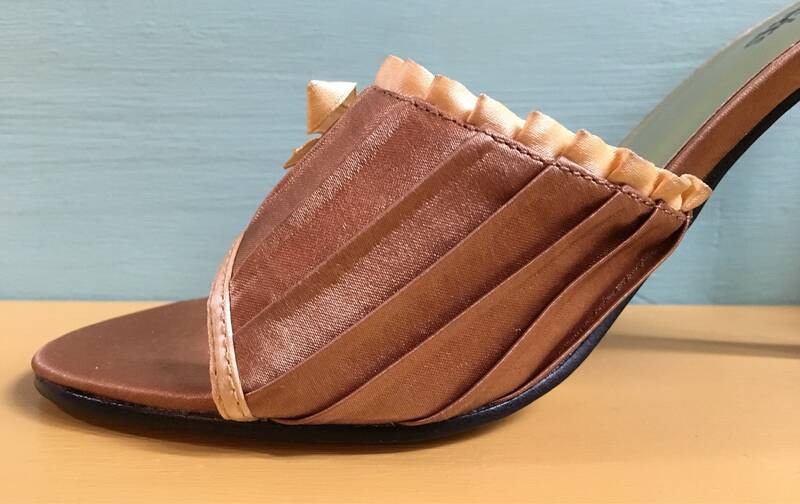 Leather sole on bottom. 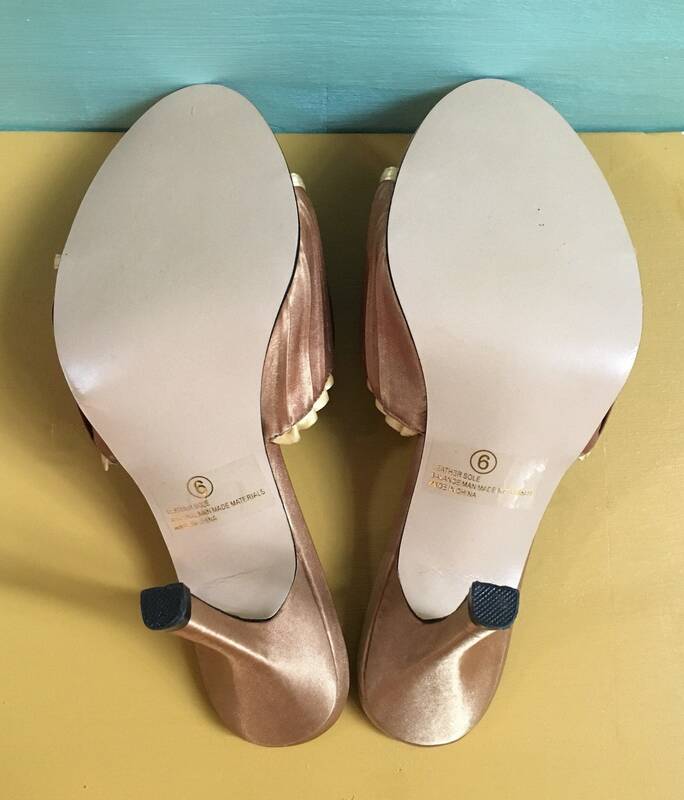 Extremely light wear to soles (see photos). 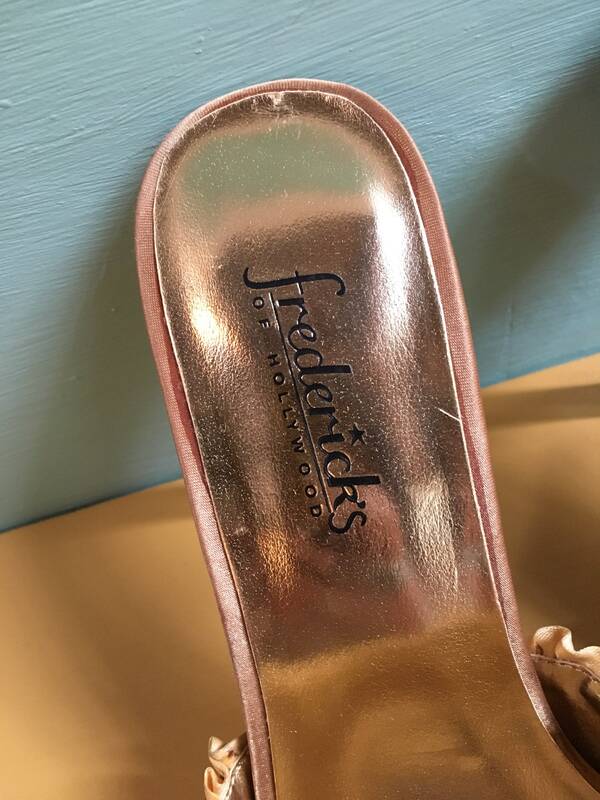 Made by Frederick's of Hollywood. 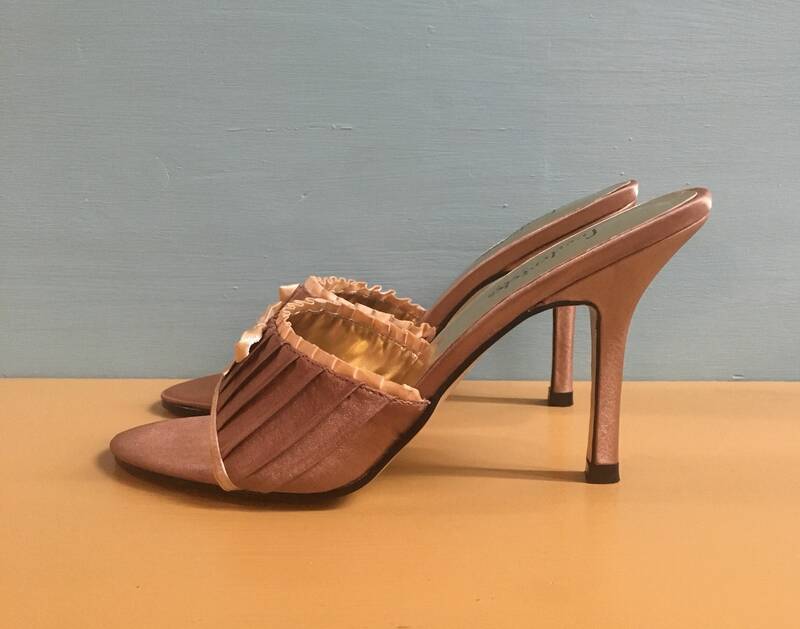 Marked women's modern size 6 US.